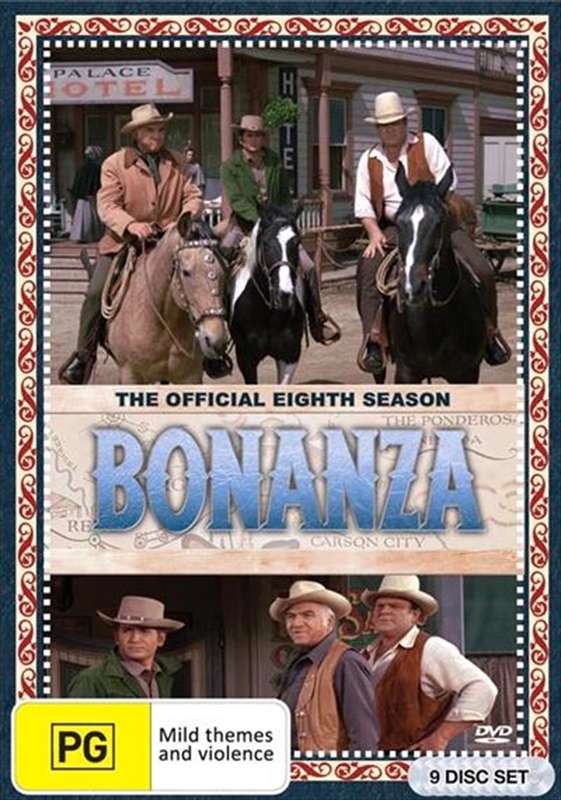 The most popular television series in the United States and arguably on the planet returns for a monumental season of outstanding adventures featuring the legendary Cartwrights of the Ponderosa (Lorne Greene, Dan Blocker and Michael Landon) for the first time on DVD. Taking a serious look at contemporary issues through a period lens, the Cartwright men come to the aid of A Man Without Land, back up a new Amigo facing deadly bigotry, and stand up for a family of immigrants in The Deed and the Dilemma. On the lighter side, Maestro Hoss takes up the violin and Joe Cartwright, Detective is on the case when detective novels have him suspicious of strangers in Virginia City.